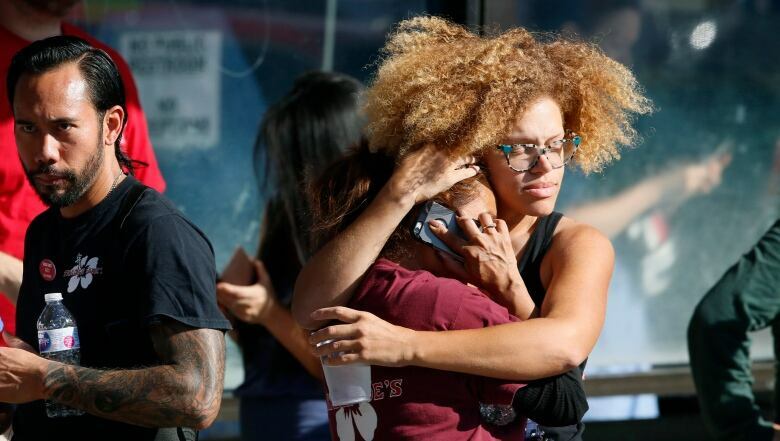 Gunman arrested after deadly hostage standoff at Trader Joe's in L.A.
Police in Los Angeles have arrested a man who took hostages and barricaded himself inside a Trader Joe's grocery store, ending a three-hour standoff during which he fatally shot a woman, authorities say. 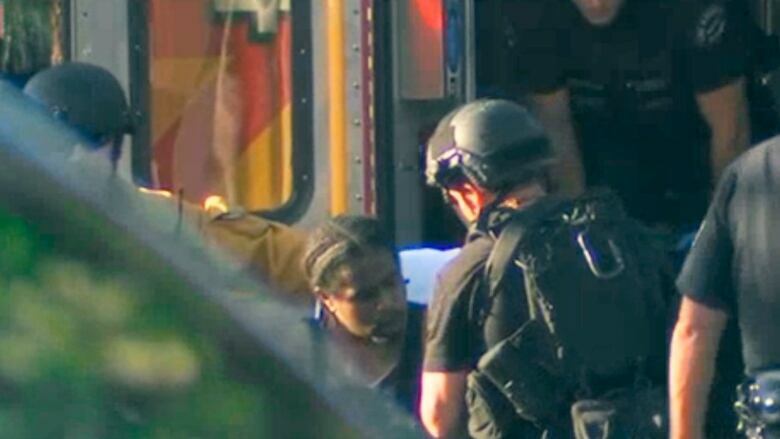 Police in Los Angeles arrested a man who took hostages and barricaded himself inside a Trader Joe's grocery store on Saturday, ending a three-hour standoff during which he fatally shot a woman, authorities said. 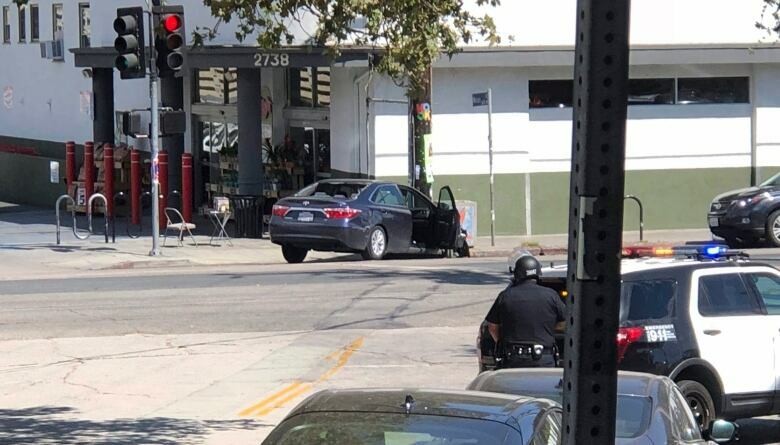 The man, who was chased by police after he was suspected of repeatedly shooting his grandmother and another woman in a separate part of the city, crashed his car outside the Trader Joe's, where he exchanged gunfire with police and entered the crowded store. He was shot in the arm and talked with police over the phone to negotiate a surrender, Mayor Eric Garcetti and police told a news conference. The man, 28 and not named by police, emerged from the store and was surrounded by police. "Inside the Trader Joe's the suspect shot a female victim. She was pronounced dead at scene," police said on Twitter. He then proceeded to hold multiple victims hostage within the location. Through the hard work of multiple LAPD entities, the suspect walked out of the location, and asked that he put handcuffs on himself, and was taken into custody. Once he was in custody, about 20 people who were in the store could be seen spilling out on to the street. The woman has not officially been identified, but ABC News named her as Melyda Corado, the store manager, citing family sources. "The suspect at the end asked for handcuffs. He handcuffed himself and then released himself into the custody of L.A. police," Garcetti said. 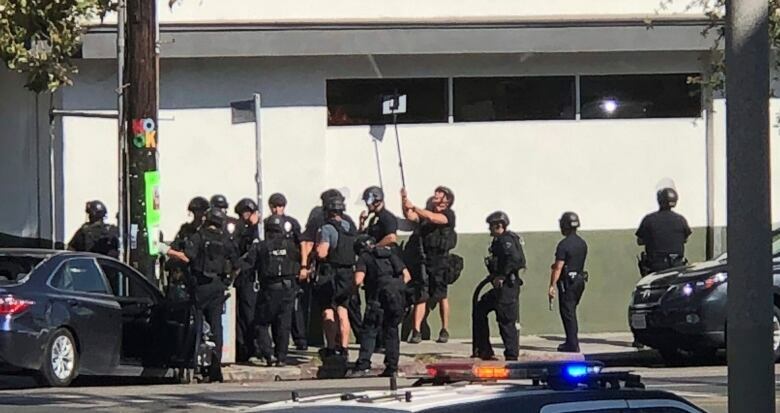 During the standoff, aerial footage from TV stations NBC Los Angeles and CBS Los Angeles showed people leaving a store window using a rope ladder and police carrying children to safety through a parking lot in the city's Silver Lake neighbourhood. Trader Joe's employee Zach Johnston was among those who escaped shortly after hearing gunshots. "I was in the back room and all of a sudden I started to see customers spilling through the door going to the back room." "I immediately heard some gunfire, like four pops," he said. Johnston and about 15 customers and co-workers ran out a back door to safety, he said. More than an hour after the standoff began, a few hostages were shown on TV leaving the store through the front door. Some said they had hidden in employee areas in the back of the store. U.S. President Donald Trump said he was watching the situation closely. "Active barricaded suspect. L.A.P.D. working with Federal Law Enforcement," Trump wrote on Twitter before the arrest.